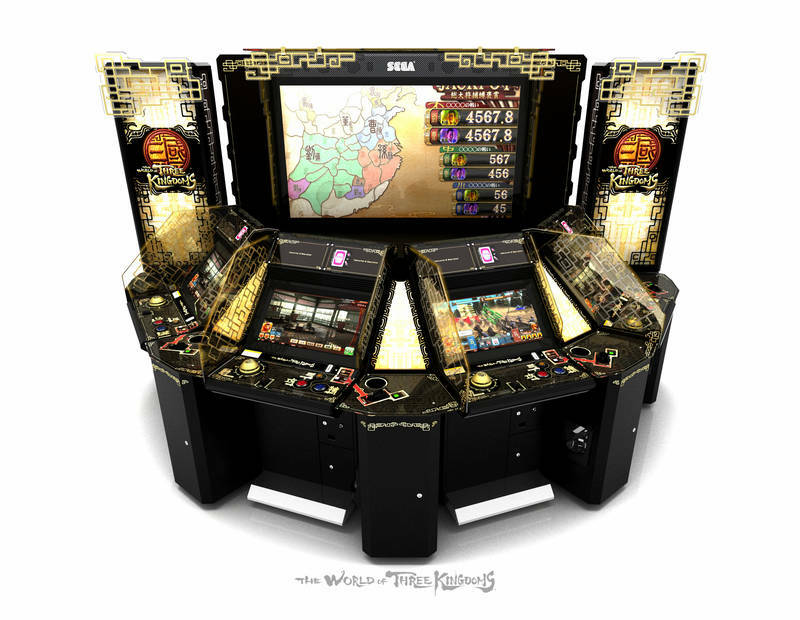 The World of Three Kingdoms is a mix of arcade and medal game made ​​by Sega. The game takes place during the three kingdoms period in China (220-280). 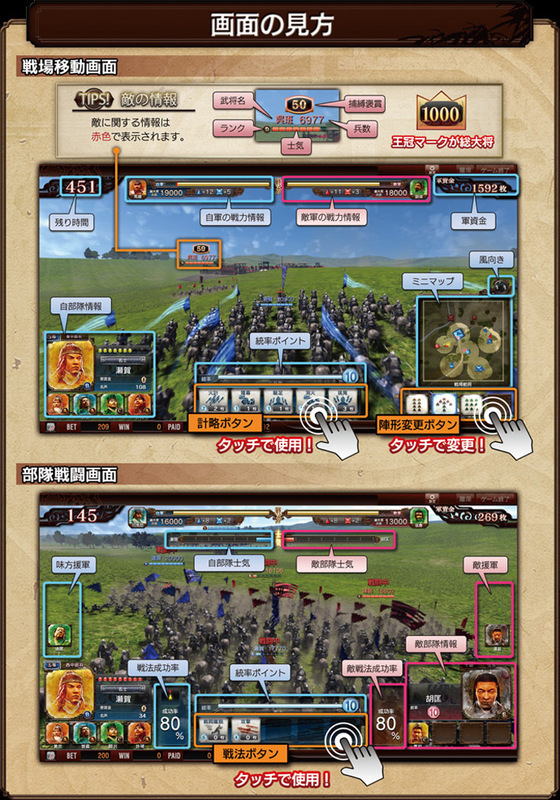 Players will command an army and will face general such as Cao Cao, Liu Bei, Sun Quan, Dong Zhuo and Lu Bu. Thanks to in-game currency, they can strengthen their army. The game is played online and players can ally or compete throughout the country. The game is currently on location test. The World of Three Kingdoms est un mélange de jeu d'arcade et de medal réalisé par Sega. Le jeu se situe pendant la périodes des 3 royaumes en Chine (220–280). Les joueurs commanderont une armée et affronteront des généraux tels que Cao Cao, Liu Bei, Sun Quan, Dong Zhuo et Lu Bu. Grâce à une monnaie in-game, ils pourront renforcer leur armée. Le jeu se joue online et les joueurs pourront s'allier ou s'affronter à travers tout le pays. Le jeu est actuellement en location test. 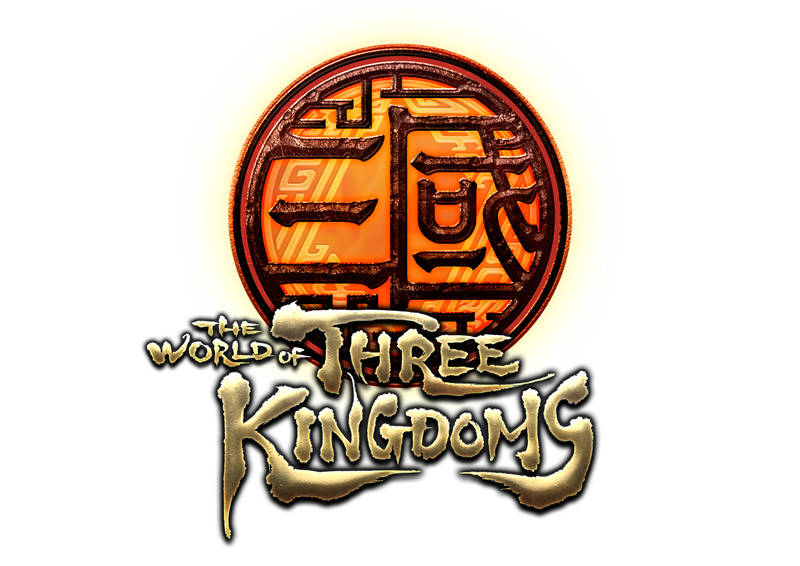 The World of Three Kingdoms sortira le 26 février. The World of Three Kingdoms will be out on February 26. 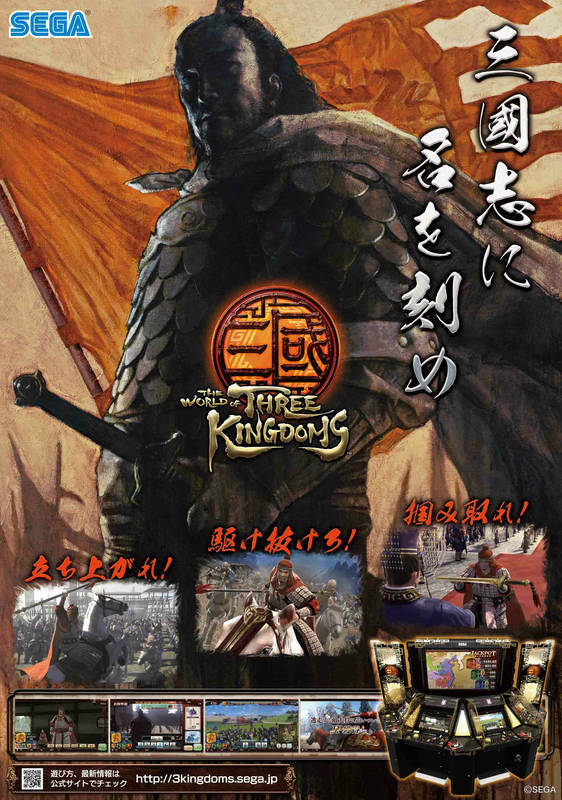 - improved cooperation thanks to the "messenger chat"
The World of Three Kingdoms Ver1.2 est en location test aujourd'hui. 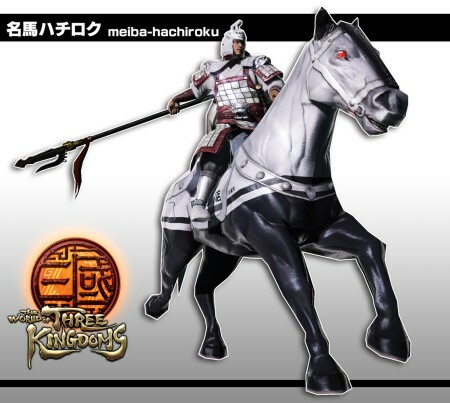 - la coopération est améliorée grâce au "messenger chat"
The World of Three Kingdoms collaboration with Initial D Arcade Stage 8 Infinity will start soon. Une collaboration entre The World of Three Kingdoms et Initial D Arcade Stage 8 Infinity commencera bientôt.